I’ve been enjoying these monstrous creations by Jonathon Taylor for some time now, and they just keep getting better and better. 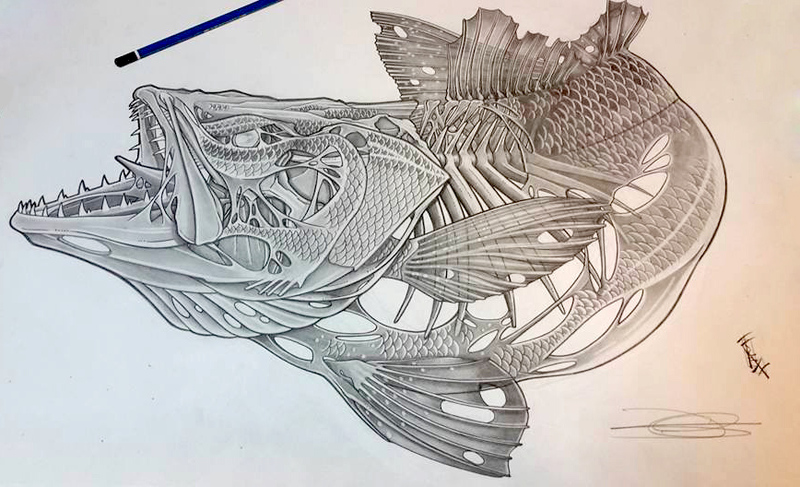 The latest zombie fish really caught my attention! 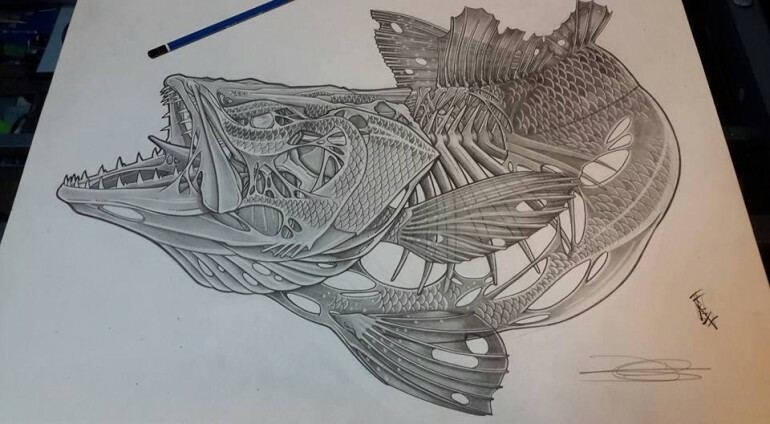 Check out more of his incredible artwork on the J-Trexx Facebook page! With 275 backers and only 24 days ago, this project is very close to being fully funded. I have personally pledged money to this project and I am pumped to see the final product. If you want to fund this project and get your own GoFish Camera, visit Kickstarter! While the internet is full of wondrous things, most people just use it to look at funny pictures. I can’t say I blame them, who doesn’t like funny pictures? Personally, I’m partial to funny pictures that include fish. Here are a few magical #fishflopfriday shots from Instagram. It’s been a while since we have done played “Name That Fish” so here is a hard one for all you fish experts out there! Tip: This fish is found in Indonesia. 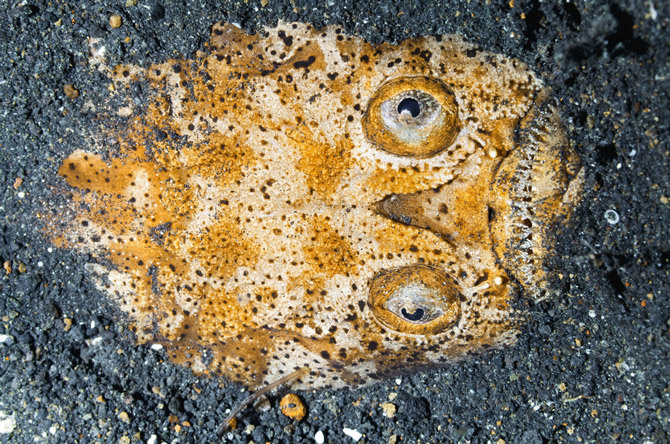 Indonesia—Off the east coast of Sulawesi, on the bottom of the Lembeh Strait, the wide-eyed face of a foot-long stargazer emerges through black volcanic sand. These fish, named for the eyes atop their heads, ambush their prey. The New Rapala Shadow Rap is Here!